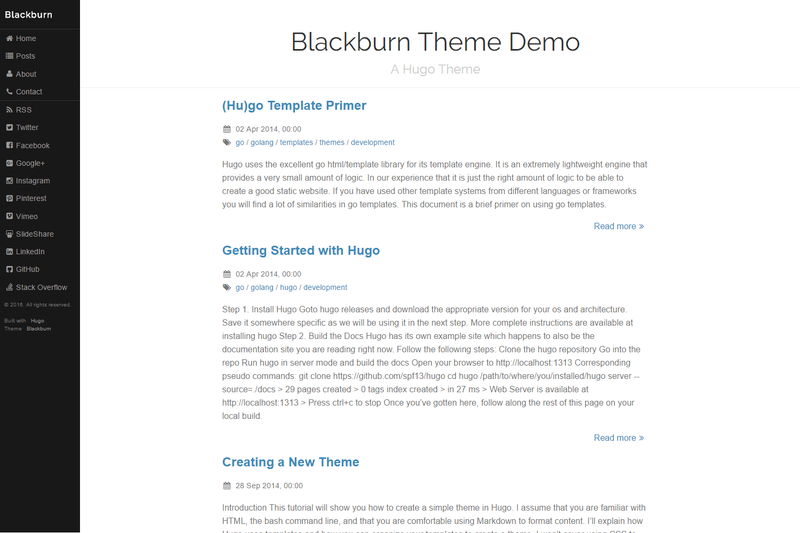 Blackburn is a clear and responsive theme for Hugo. See Hugo Quickstart Guide for more information. subtitle = "A Hugo Theme"
where each positional parameter is separated by the vertical bar (i.e., |). The resulting <table> is set to have class="pure-table pure-table-striped". where each positional parameter is separated by the vertical bar (i.e., |). class, alt and caption are optional. See Pure CSS Grids for possible class values.